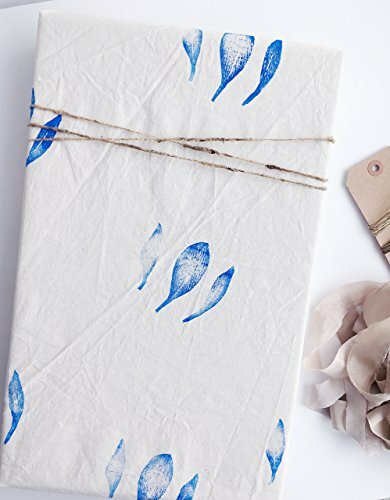 GIFT WRAP, Fabric Wrap™, eco friendly reusable, Blue Leaves, hand printed, gift, christmas, holiday, present, natural, rustic, modern, farmhouse, cottage by Sweetgrass Paper Company at Nicky's Blog. Hurry! Limited time offer. Offer valid only while supplies last. Fabric WrapTM A more beautiful way to wrap! Eco friendly, reusable fabric gift wrap. Easy to use! Secure with tape just like regular wrapping paper.